In this brief, some analytical data on the early civilization in Anatolia and its farming development, also its expansion on neighbouring places. How cereals and their lexical denomination bound together a very wide area. Egyptian pyramids and Sumerian ziggurat still are in our mind since then. 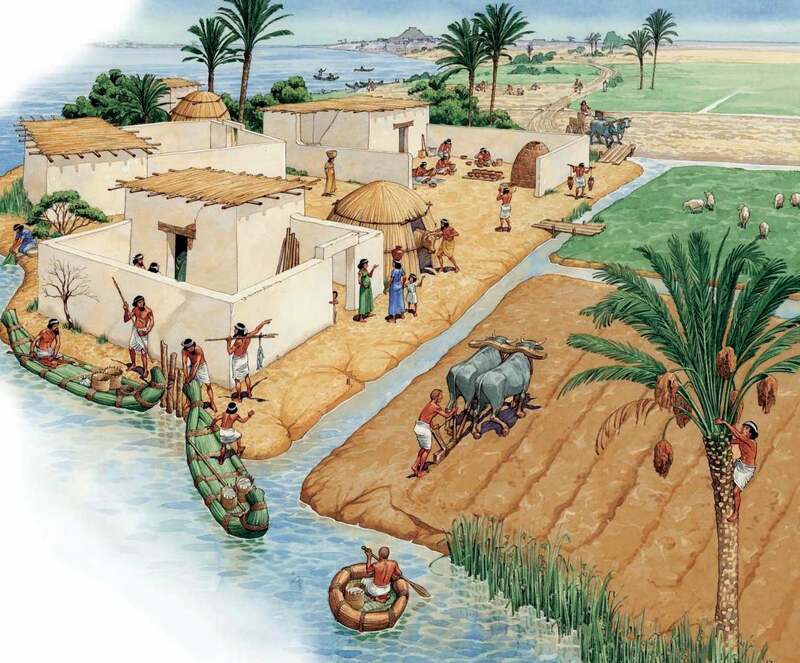 Both places (Egypt and Mesopotamia) are considered the pillars of civilization. No one dare to diminish their relevance as part of human development. Beside those two geographical areas, another place has drawn thr attention of scientists: Anatolia. Anatolian civilizations could be more ancient and no less developed than their Egyptian and Mesopotamian counterpart. There are all the prerequisite elements to start with, and historically speaking, several substrata languages that deserve our attention. Unfortunately, written record is so scanty, that is why a lot of elaboration needed. However, there is no reason to be afraid of. There are a lots of good reasons to look at the Anatolian plateau, especially when GRAIN – and CEREALS in general – domestication had its birthplace. “Some of the latest ideas on the Neolithic have responded to the question of whether language moved with the first farmers. This is an issue that has engaged not just archæologists, but linguists and geneticists too. With regard to Anatolia and Europe it specifically concerns the matter of whether the Indo-European family languages spread with the first farmers. Despite some earlier strident views, there appear no consensus.”1 . It is not a coincidence that southeast Anatolia correspond to Hurrian settlements, or at least, to Hurrian area. It is crystal clear now, an investigation on Hurrian lexical item could promote a legacy between two sides of Anatolia region: the Ægean sea and Caucasus mountains. The first step is to split up kangadi < * kan-gadi < * kan(V)-gadi. From this perspective, the second element (* -gadi-) appear more clear, simply because kade ‘grain’ is already attested. Further, dgate-e-na [PLUR., KUB XLV 47 III 8] is ‘attribute de Nikkal / Nikkal’s attribute’. Lezgian: “OBL. base *k:[ɨ]ta- (cf. Tsakhur gɨte). 3rd class in Tsakhur, but 4th class in Rutul. In Agul there occurred an assimilation in glottalisation. Vocalism is not quite clear.”. 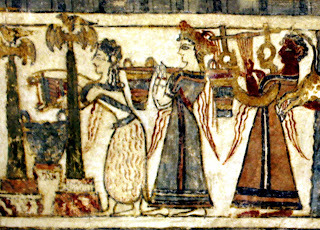 “Cereals (predominantly barley, emmer, and einkorn) appear at a number of Late Bronze age sites, indicating common use in the diet, Bread wheat (Tritticum æstivum), despite its long history in Crete, appears more rarely – including in a pure deposit from Late Minoan II Knossos – suggesting it was a specialised crop for which particular zones of land were set apart […]. It would have demanded more nutrients from the soil than some of the other cereals in use: the practice of crop rotation might have helped to get the best out of land supporting” 3 . Considering all possible translations, Hurrian gangaduḫḫi shows ‘a kind of food’ made out of Cereals et sim. (oats, (ear of) corn, malt, sesame, barley) or its final process (bread (with fillings), cookie). Another Hurrian word which deserve attention is warini (wa-ri-ni) ‘boulanger / baker’. First of all, the ending in -i-ni was used as NOMINA AGENTIS. A glimpse to some other words: urbarinni ‘butcher’ < urb- ‘to slaughter’ wuú-ta-ri-ni ‘pot-maker’ < wuút- ‘pot’ waa-an-ta-ri-ni ‘cook’ < waantar- ‘to cook’. After this consideration, it is possible that *warV- bear the meaning of ‘bread – or – cereal product’; and it should be not confused with verbal root waa-r- ‘to go (to), to walk’. There are good chances here to associate war-ini with βάρ-αξ [*bar- or *war-] et sim. For a systematic combination between product and maker, an analyses in Akhwakh (Daghestanian language, Andi group) reveal that: ĩgʷara bižida ek’ʷa ‘baker’, lit. : ‘bread baking man’; apparently igʷara ‘bread’ could be related to the theme, since labio-velars gʷ > b, d ; but i- becoming problematic for phonological reason, and it is better to abandon this hypothesis. However, the equation ‘baker ← bread [maker]’ still is valid. βασυνίας ‘kind of sacrificial cake’. from the island of Hecate, near Delos (Semos, 3). Furnée (1972: 245) adduces the variant βασυμνιάτης ‘baker of βασυνίας’, which proves Pre-Greek origin; note the suffix -υν- / -υμν- and the variation it displays. A further note in Dargwa (Chirag): полукруглое / of semicircular shape. What is relevant here, the bilabial at the beginning, and then, a labial vowel in middle position might affected the first vowel. As seen in the scheme, there are some gaps in the word-lists, a lack of progressive continuity in two occasions. This is perfectly conceivable in any linguistic family (see R. Lass in “Historical linguistics and language change”), where preservation or innovation is dictated from external factors; conversely, there is no interruption in time and space with the first sample. 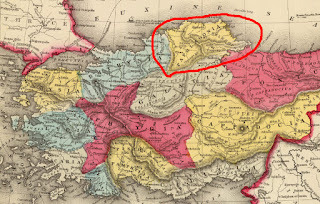 The idea of borrowings, due to languages contact (trading, war, third parties), has no support on the following ground: Alexander the Great's expansion never reached Caucasus, nor there are evidence of contacts between north Caucasian people and Greeks earlier in time; all those Greek words lacking of an etyma. It is difficult to explain βασυνίας ~ bóʃuⁿ by chance similarity, also war-ini ~ βάρ-αξ, when gangaduḫḫi theme bound together all three groups (Pre-Greek, Caucasian, Hurrian). In this case, it is conceivable to consider Anatolia farming techniques as part of the most advanced civilization at the time, thus, their knowledge let them to expand to other areas, such as Crete and Caucasus, and obviously, lexical denomination still are preserved when and where it was possible. In this way, it is now possible to harmonize different disciplines, like archæology, palæobotanics, mythology, linguistics on the same subject. It is possible now to trace it back their common roots. Cook, M., A brief history of the human kind, London 2003. Кибрик, А. Е, & Кодзасов С. В., Сопоставительное изучение Дагестанских языков (Vol. 1. Глагол. Vol. 2. Имя. Фонетика). Москва 1990. Sagona, A. & Zimansky, P., Ancient Turkey, New York 2009. Starostin, S. A. & Nikolaev, S., North Caucasian Etymological dictionary, Moscow 1994. Wallace, S., Ancient Crete, from successful collapse to democracy alternatives, twelfth to fifth centuries BC. Cambridge university press, Cambridge 2010.